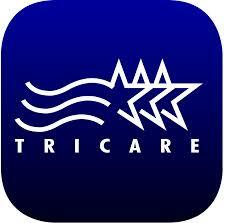 Have questions about your TRICARE benefit? Here’s your chance to get some answers. Join us for a Q&A webinar on Wednesday, December 13, from 1 to 2 p.m. (ET). The “TRICARE Asked and Answered” webinar will include a panel of subject matter experts to answer your questions about TRICARE benefits, health plan options, dental plan options, upcoming changes to TRICARE, and more. The December 13 webinar is one of multiple TRICARE resources to help you get answers to your questions related to your health care benefits. For a quick look at more resources, check out “7 Ways to Get Smart About TRICARE” highlighting resources available from handbooks, guides and booklets to fact sheets, newsletters and podcasts. Don’t miss this unique opportunity to ask questions directly to TRICARE experts. Bring your questions and register to join us on December 13. Registration is limited. You must be registered and in the webinar platform to submit a question. If you’re calling in by phone, you’ll automatically be in listen only mode.